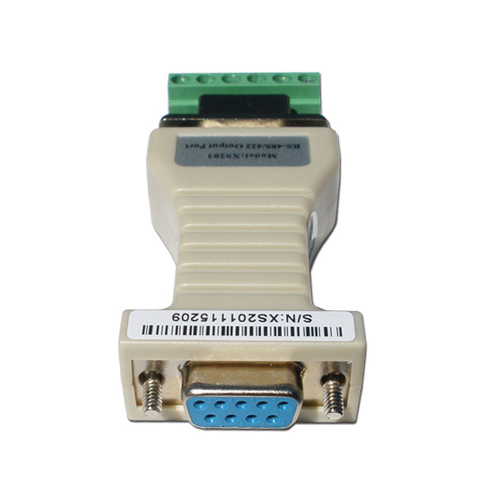 Combination RS232 to RS485 / RS422 converter. 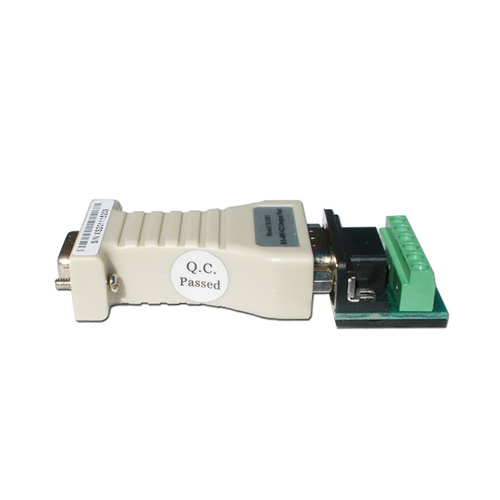 With this converter you can convert any RS232 signal to either RS485 or RS422 in both directions (RS485 to RS232 and RS422 to RS232). It is a good and economical standard solution for most applications that can be used in industrial, commercial, laboratory and consumer environments. The converter automatically senses whether the RS422 or the RS485 is connected to the interface, simply connect the wires and you are ready to go. No jumpers, drivers or other software needed. This RS232 to RS485 / RS422 converter is powered from the RS232 port so you don't need to apply an external power supply to the converter. In rare cases where the RS232 port doesnâ€™t provide sufficient power to the converter you can easily connect an external 5 to 12VDC power supply to the terminal header on the RS485 / RS422 side of the converter. 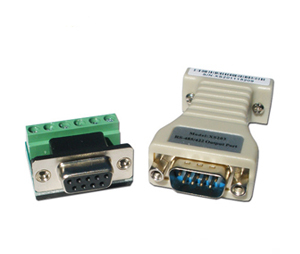 The RS232 side of the converter is a DB9 connector and the RS485 / RS422 side is a DB9 male connector with an optional 6-terminal header block for easy connection of single wires. This converter is non-isolated, it does have protection against static electricity however for industrial use and for sensitive applications we recommend using an isolated converter. 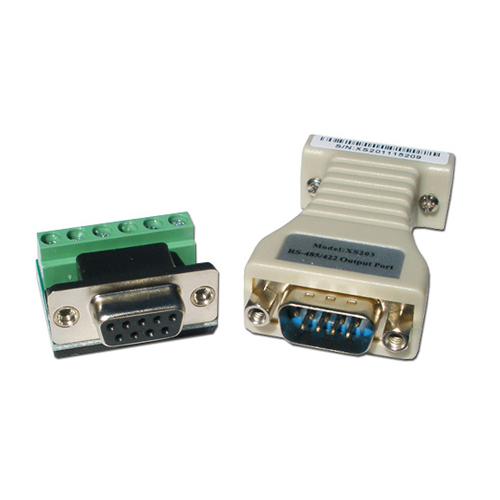 In that case please take a look at our optically isolated RS232 to RS485 / RS422 converters. Power Port-powered from RS232 (RTS, DTR, TXD).